One of the most successful MMA fighter of all times Anderson Silva will return to Octagon against British Michael Bisping on Saturday, 27th February 2016 in O2 Arena, London. Bisping was suppose to fight “Gegard Mousasi” but Anderson Silva fight was made possible and now Gegard Mousasi will be fighting in the undercard of Silva-Bisping. This will be Anderson Silva’s first fight since his controvertial victory over Nick Diaz and his 1 year ban after he was tested positive for steroids. This is absolutely massive fight and tickets for the show was already sold out but with the new announcement of Silva vs Bisping the demand for tickets will go sky rocket. Dana White announced the main-event of Silva-Bisping on thursday and the fight will be part of UFC’s online streaming service “UFC Fight Pass” which can be subscribed at €8 euros a month. Which is a bargain for such a massive fight. Bisping was hoping to get Anderson Silva for best part of last 5 years and he finally has his wish and that too in his own backyard. This will easily be Michael Bisping’s biggest fight of the career. UNDERCARDS Gegard Mousasi is likely to be part of the card in co-featured event against yet to be named fighter. Jimi Manuwa vs Nikita Krylov is another confirmed fight on undercard. 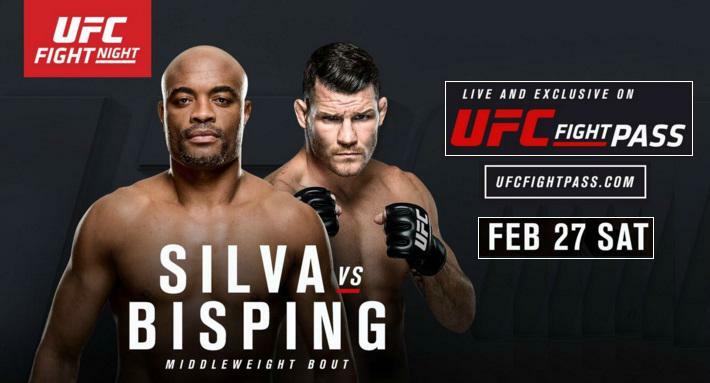 How To buy Tickets For UFC London Silva vs Bisping ? O2 Arena tickets are sold via their official ticket partner site Axe.com. Whic has already sold out O2 arena tickets available for general public for 27 February 2016 UFC London. But they still have hospitality and VIP passes available which won’t come cheap specially since the announcement of Silva-Bisping fight. You can always check ticket exchange sites like viagogo.co.uk where you might be able to find tickets but at slightly over priced rates. We will update here more once we get any details on how you can buy tickets for Silva-Bisping UFC London.